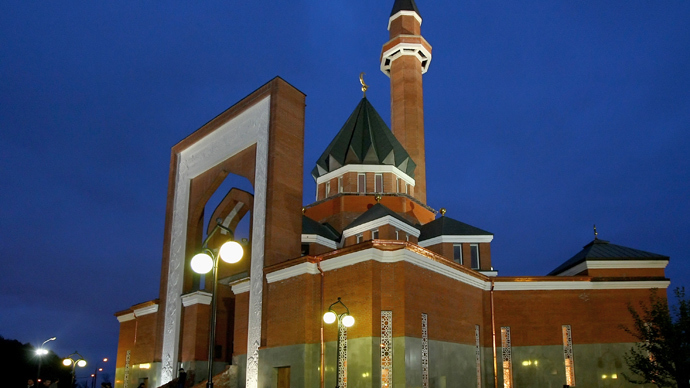 Mufti Hazrat Gizatullin, the deputy head of the official Muslim organization for European Russia, said in an interview with Izvestia daily that representatives of his organization intended to send an official protest to the Moscow city Department Of Interethnic And Inter-Religious Cooperation. The move was prompted by several district councils posting a document on their websites in which they detailed signs that could indicate preparations for terrorist attacks. “Suicide bombers can be distinguished in mosques by their more exalted behavior, close to meditation, by a deeper immersion into religious ecstasy. Besides, the mosques can be meeting places for members of terrorist cells. One can always stay for a night in a mosque or strike a deal with other persons unsuspecting about the real goals behind such contacts,” the warning reads. City officials explained that the text was provided by the Federal Security Service in line with the strategy developed at the session of the joint counter-terrorist workgroup that took place in late December last year. By the agency’s request the text was also placed on billboards in public places. Mufti Hazrat Gizatullin claims that the authors of the warning have a distorted impression of reality. 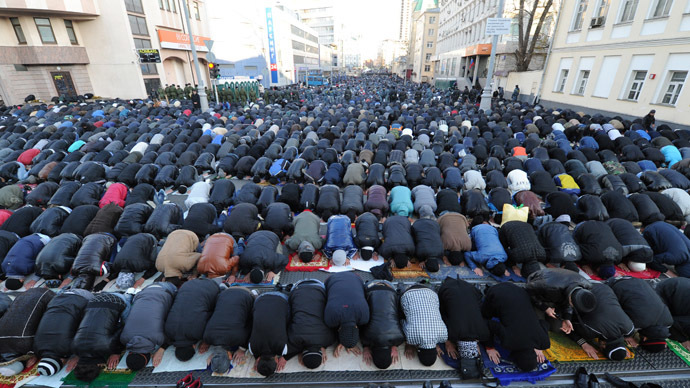 “The mosques in Moscow are always closed at night. No one can stay there overnight as there are CCTV cameras and round-the-clock security watches,” the cleric said. “Pointing at some specific behavior and claiming that it is a sign of membership in a terrorist group is simply a lie that insults believers’ feelings and dignity,” he noted. 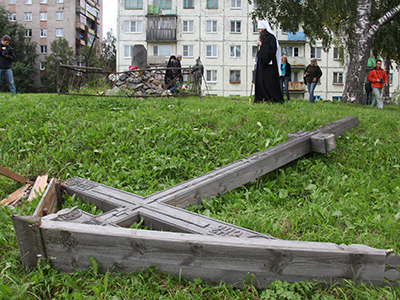 The FSB has not yet commented on the controversy, but the head of the Moscow Duma commission for public and religious organizations holds that the warning cannot insult anyone. He added, however, that the formula might not be correct, as distinguishing real terrorists requires qualified and experienced expertise. 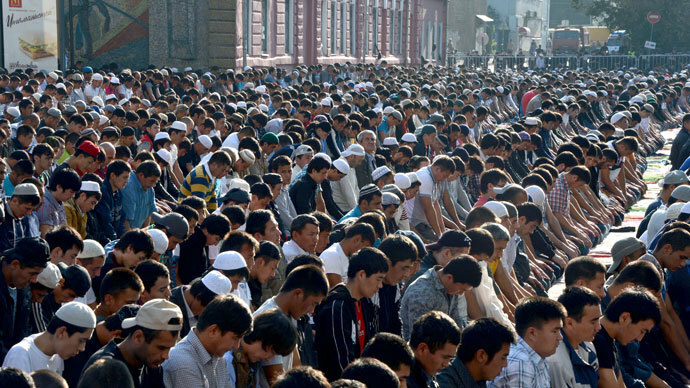 Moscow is currently seeing an influx of Muslims, many of them part of the million-strong force of migrant workers attracted to the growing city. During major religious holidays this causes a shortage of mosques, as there are only three such buildings in the city. However, city residents have always strongly opposed the construction of new Muslim sites and the authorities have supported this stance, saying they will not create infrastructure for guest migrant workers who must return to their countries when their contracts expire.